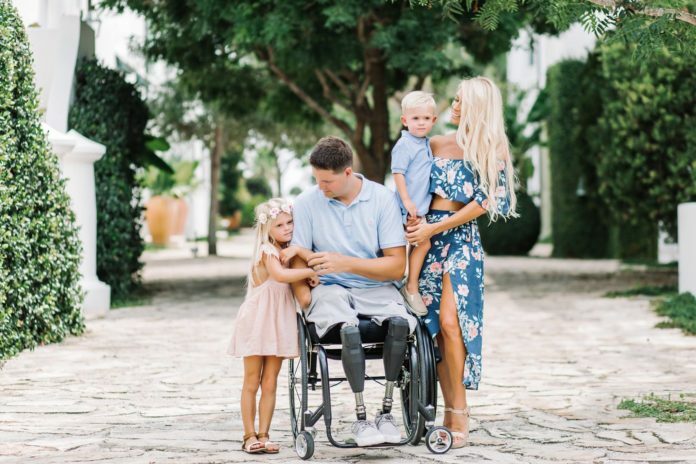 Brian Kolfage, a triple amputee veteran and Purple Heart recipient has raised more than $20 million as of Thursday morning on a Go Fund Me campaign to pay for a wall on the U.S. border with Mexico. Over 347,351 people in 1 month have donated to the WE Build The Wall Effort. Kolfage is a retired US Air Force member who lost three limbs when he was wounded in Iraq. According to the biography on his personal website , he is a graduate of the University of Arizona’s School of Architecture. IF YOU WANT TO SUPPORT & BUILD THE BORDER WALL OPT-IN CLICK HERE!!! Most of the donations have been in the range of $20 to $100. The highest donation to date was for $50,000 by a private user.